The November 2018 box theme was "Battle". 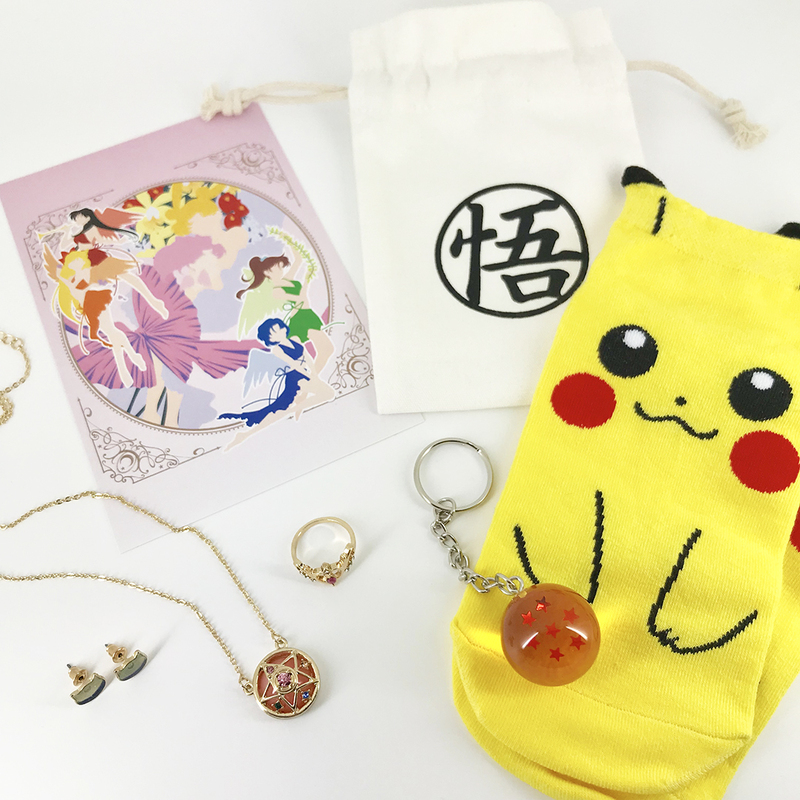 Inside you will find the following items: Pikachu Women's Socks (Pokemon), Seven Star Dragon Ball Keychain (Dragon Ball), Neo Queen Serenity Tiara Ring (Size 6.5, Sailor Moon), Crystal Star Pendant Necklace (Sailor Moon), and Luna Stud Earrings (Sailor Moon). Also included is an exclusive postcard print and cotton canvas jewelry pouch. If you missed this box, now is your chance to grab it!